Pennsylvania Landlord Tenant Laws are provided in the 68 P.S. Landlord and Tenant Act of 1951. The statutes provide definitions of terms related to landlord tenant laws, the rights and responsibilities of landlords and tenants as well as violations and remedies under Pennsylvania Landlord Tenant Law. This information is not a substitute for legal advice. If you have questions regarding Pennsylvania Landlord Tenant Law or believe you may have a legal case pursuant to these statutes, you should seek the advice of an attorney. Stay up to date on Pennsylvania Landlord Tenant Laws + Save money on tenant screening and other property management needs. Join AAOA today, it’s FREE! Pennsylvania Landlord Tenant Laws refer to a security deposit as “escrow payment,” in accordance with 250.511(a), “Escrow funds limited.” Under the statutes regarding security deposits, a landlord may not require an amount equal to more than two months rent as escrow payment during the first year of a lease. Upon renewal of a lease for the second and for any subsequent years, a landlord may require an escrow payment that must not exceed an amount equal to more than the amount of a one-month rent payment. Under 250.511(d), a landlord may not require a tenant to pay additional escrow funds. Beginning with the third year of a rental term and for every year thereafter, 250.511(c) requires that “upon termination of the lease, or on surrender and acceptance of the leasehold premises, the escrow funds together with interest shall be returned to the tenant in accordance with sections 511.2 and 512.” All escrow funds over the amount of $100 “shall be deposited in an escrow account of an institution regulated by the Federal Reserve Board, the Federal Home Loan Bank Board, Comptroller of the Currency, or the Pennsylvania Department of Banking.” Landlords are required to notify tenants in writing where the escrow funds are being held. Pennsylvania Landlord Forms can help landlords ensure that tenants are afforded all their rights to specific notices from the landlord and that the written lease complies with Pennsylvania Landlord Tenant Law. Pennsylvania Tenant Screening packages help landlords quickly eliminate prospective tenants who do not meet their standards. Applicants who are likely to comply with their responsibilities under the lease terms and Pennsylvania Landlord Tenant Laws can then rise to the top of the applicant pool. Processing a background check on a prospective tenant is crucial to ensuring the safety of your property and other residents. A Pennsylvania tenant screening background check is easy to do and can be charged to the applicant. Visit our dedicated page for more information on Pennsylvania Tenant Screening Background Checks to screen your tenant. All states require a variety of forms to rent an apartment to a tenant and Pennsylvania is no exception. Check out American Apartment Owners Association’s Pennsylvania Landlord Forms now. 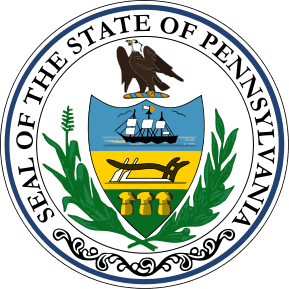 Looking for landlord tenant laws outside of Pennsylvania? The American Apartment Owners Association offers helpful landlord tenant laws for all 50 states. Click on any of the states listed below and go directly to its landlord tenant law page. To visit the homepage of landlord tenant laws, click here.